A unique recycling scheme that recycles metal from orthopaedic implants following cremations has helped the council donate £7,000 for Alzheimer’s Society. The councils Bereavement Services team became involved in the recycled metals scheme - run by the Institute of Cemetery and Crematorium Management (ICCM) - to help raise money for charities and to be more environmentally friendly. Over the last four years the service has raised £37,000 for charities including Make-A-Wish, SANDS, Havens Hospice and Marie Curie. Following a cremation, the remains may contain metals from orthopaedic implants such as hip or knee replacements. These metals are recycled through a specialised company contracted by the ICCM, with the proceeds shared between a host of charities and organisations associated with bereavement and bereavement support. The council submitted a nomination on behalf of Alzheimer’s Society to the ICCM for consideration which was subsequently approved. The ICCM initiative has been running since 2006 in partnership with a family run Dutch company called Ortho Metals. 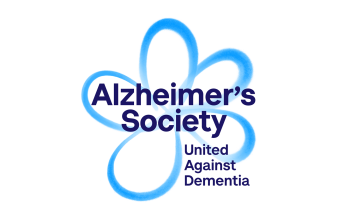 Cllr Mark Flewitt, cabinet member for public protection, said: “Alzheimer’s Society do fantastic work across the country and I am delighted that we have been able to make this donation which will help this selfless organisation continue to support the thousands of people living with and affected by dementia. Mussara Gray, Alzheimer’s Society community fundraiser for Essex, said: “There are more than 20,000 people living with dementia in Essex – over 2,600 in Southend-on-Sea, yet too many face the condition alone without adequate support. “We are delighted that the council’s Bereavement Services team chose to unite against dementia and donate such an incredible amount. “It will help us to fund further research, as it is only through donations that we can understand what causes dementia, develop effective treatments, improve care and one day, find a cure.